Welcome to SEHBC. 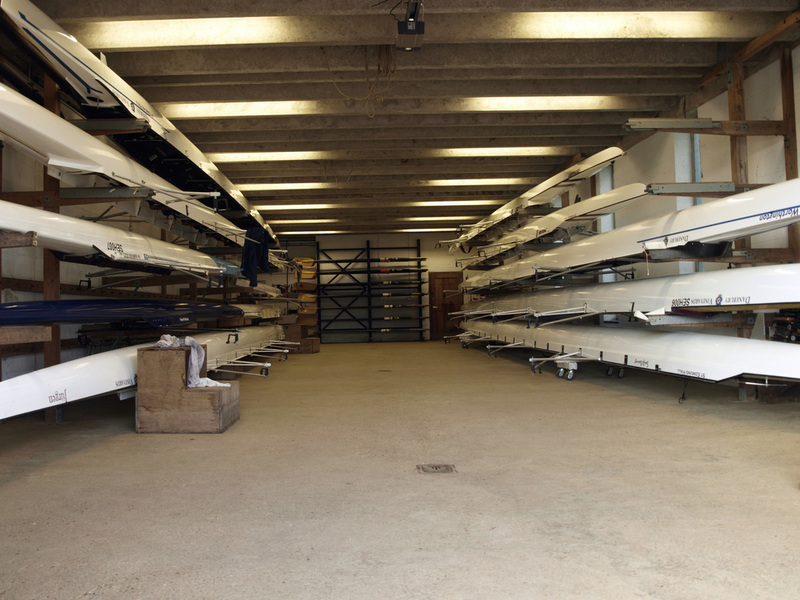 Founded in 1861, our boat club caters for members of St. Edmund Hall, University of Oxford. We boast a strong membership of approximately 60 students per academic year undertaking undergraduate and postgraduate courses at Oxford University. In our 150 year history, St. Edmund Hall men and women have taken the Headship title no less than nine times. Competing to a high standard, the boat club has become an integral part of college life for generations of students passing through the college. Why join our Boat Club? At SEHBC we boast an outstanding level of sporting equipment and provision for our rowers. Our newly refurbished Boat House on the Isis River features a spacious multi-functional space for ergo and circuit sessions, changing rooms (inc. showers + WC) and a large boat bay containing a wide variety of boat classes. Our Men's and Women's crews boast brand new Filippi and Janousek Eights for racing in Torpid and Summer Eights Regattas. View of lower Boat House from main entrance. View of upper Boat House from main entrance. As a member of SEHBC your rowing is supervised by highly qualified coaching staff. In recent years the Boat Club has employed OUBC standard coaches or similar, yielding stellar results for our rowers. The quality of our equipment and coaching provision mean we can cater to all levels of rowing ability. Whether you are seeking a leisurely programme with your friends or are training hard to beat the Tabs in the next Boat Race, SEHBC have it covered. SEHBC provides the perfect platform to trial for University Blues rowing at both lightweight and heavyweight level. By joining St. Edmund Hall Boat Club you are signing up to a club that holds team spirit and camaraderie right at its core. Indeed, most rowers that join the Boat Club go on to establish life long friendships between members of their crew. We hold many social events throughout the year, from formal black tie dinners to eventful crew dates and informal drinks at the college bar. St. Edmund Hall Boat Club pride themselves on offering some of the most dashing team kit available to students of the university. From our infamous lightening bolt leggings to our SEHxy and I Row It beaters, the Boat Club boasts exclusive kit that no other members of the Hall can buy. Look the part from the Isis to the Wolfson Hall with our fantastic range of stash! *In 2013 SEHBC won £150 from Shirtworks for having the most popular piece of rowing stash at the university. Our 'I'm SEHxy and I Row It' Beater grabbed scores of likes in an online vote at Summer Eights Regatta raising the profile of the Boat Club. The vest has been the most popular piece of rowing kit ever since.